Sarah and Jamison got married at Highlands United Methodist Church in downtown Birmingham on a beautiful fall day in October. It rained all morning but the clouds broke just in time for their day to begin. The reception (and getting ready) was at The Country Club of Birmingham and we are so excited that we got to do their Alabama wedding video. One of my favorite moments of the day was getting to visit with them while they ate their first married meal together. We chatted about how quickly the day was going by and just how amazing the ceremony was. They couldn’t believe the fact that they’re now married. This easily one of my favorite moments from this video, when Jamison talked about holding back tears because of how much he loves Sarah. Keep an eye out for this special moment in the film – I’m so glad we caught it for them to cherish forever! 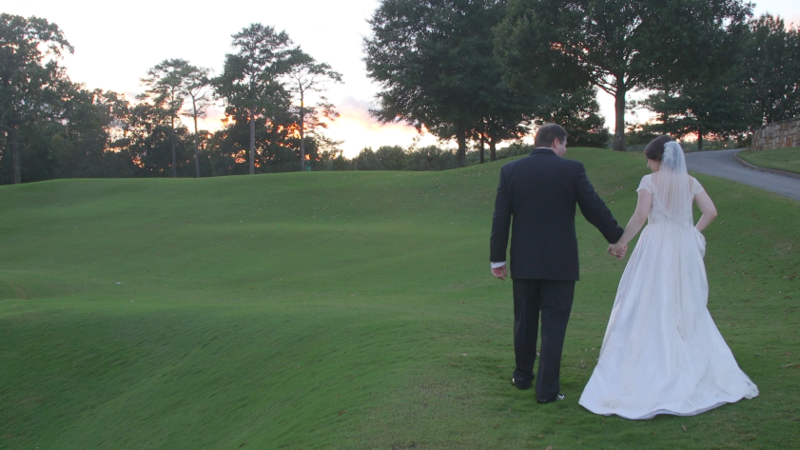 Finally, it was so beautiful taking pictures and video on the lovely golf course at the CCB, we even got some wonderful sunset shots. It was a lot of fun getting to work with two Samford alums who are fantastic wedding professionals now. Jenny Dansby of Threefoldevents and Anne Wade Shreave of AWWeddings were so professional and made the day stress-free and easy on the bride and groom. Sarah & Jamison fit together so well as their love for each other really showed through all of their interactions of the day. I’ve been anxiously awaiting this day since I met Sarah and Jamison way back in February. I loved getting to know them and was so excited to find that the bride herself enjoys making videos. I knew that the bar would be set high because I was working for a fellow filmmaker. Thankfully, this turned out to be such a fun and exciting film that I am so excited to share with you! 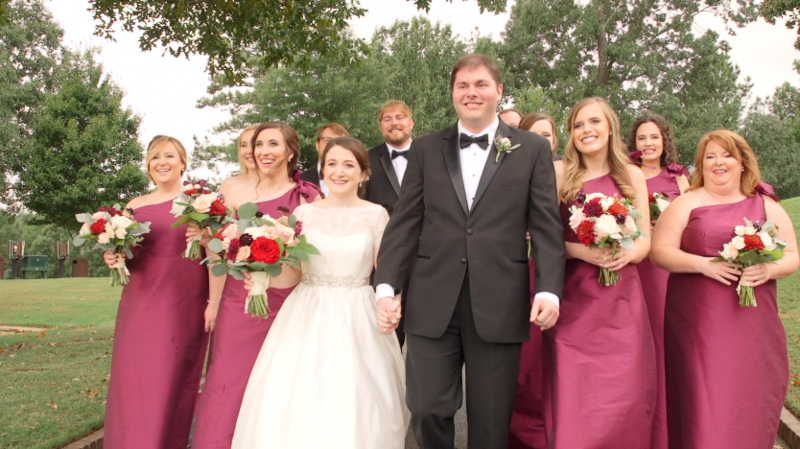 As always, special thanks to The Engaged Wedding Library for connecting us with these two to do their Alabama Wedding video. Hi. Very interesting article but it’s hard to find amoralesproduction.com in search results.